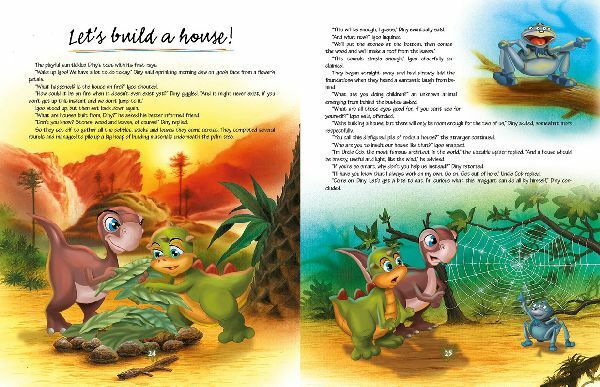 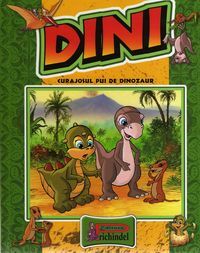 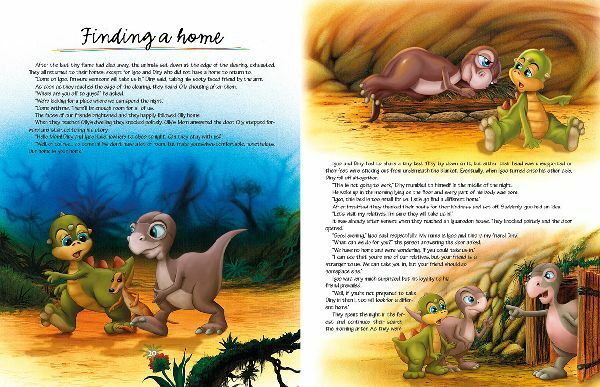 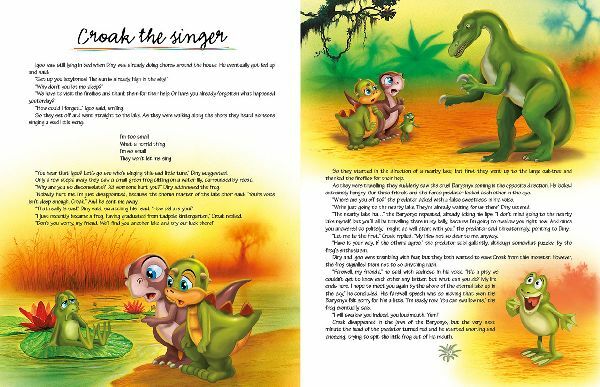 Dini, a dino kid, gets separated from his parents. 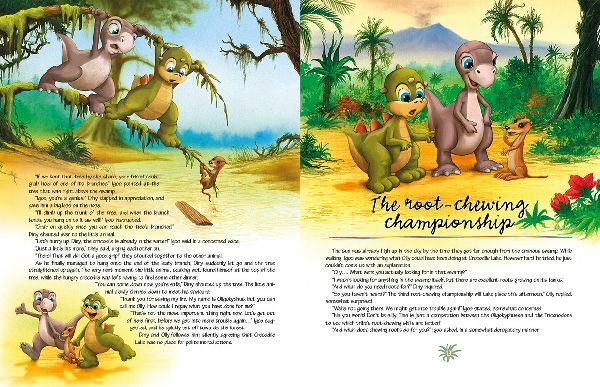 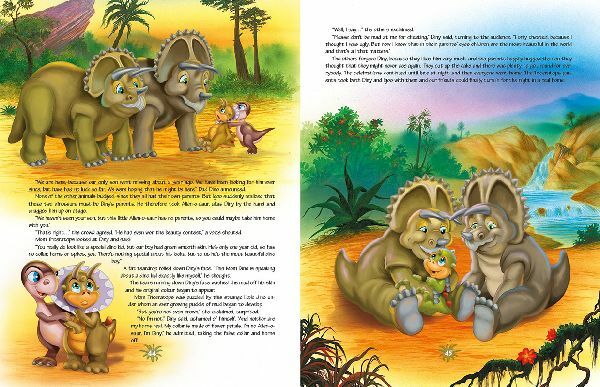 Fortunately, he's not on his own for long, because in Dino Land he finds true friends that stick by him even in the most difficult situations. 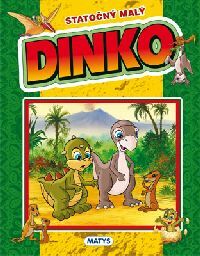 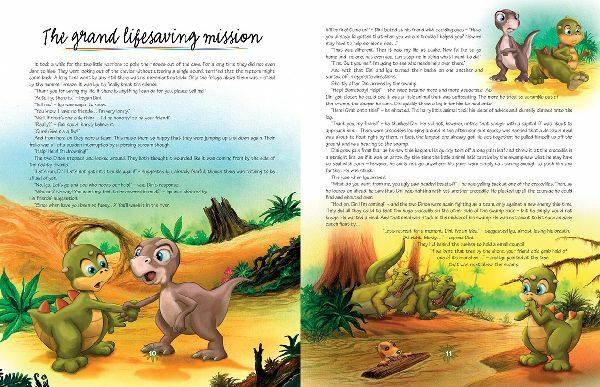 The kind-hearted and nifty dino kid emerges triumphant from even the most dangerous adventures. 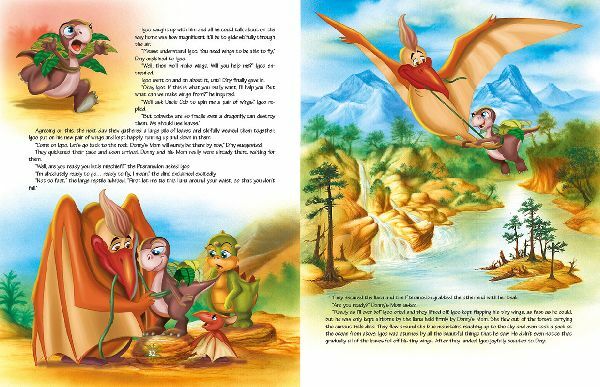 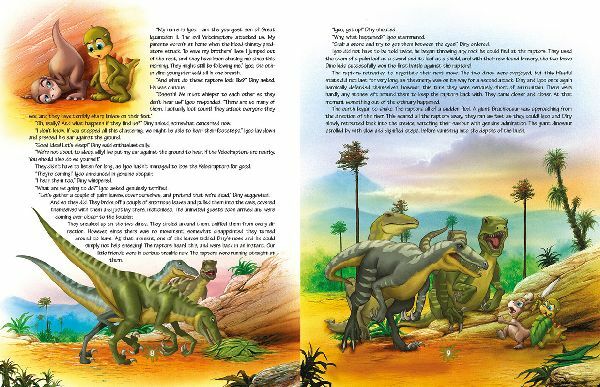 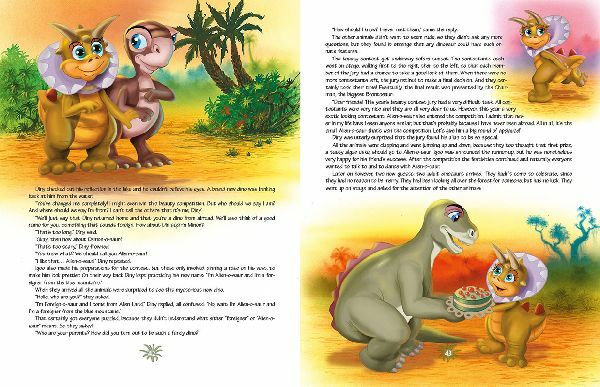 Children listening to these funny and exciting stories, and looking at the colour pictures will also learn many a thing about pre-historic animals.